﻿Select one of our pre-packaged party solutions below or customised your own but whatever you choose your kids will have an awesome time. 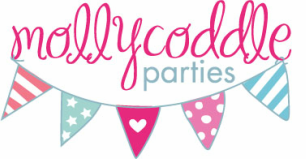 A Mollycoddle Parties host will be with your kids for the entire event, with options like face painting, craft, balloons and pampers there's something for everyone. Plus all parties come with a birthday cake and standard catering, including making their own ice cream mix ins. For an additional $40 your MollyCoddle Parties host can dress up as your child's favourite character! !